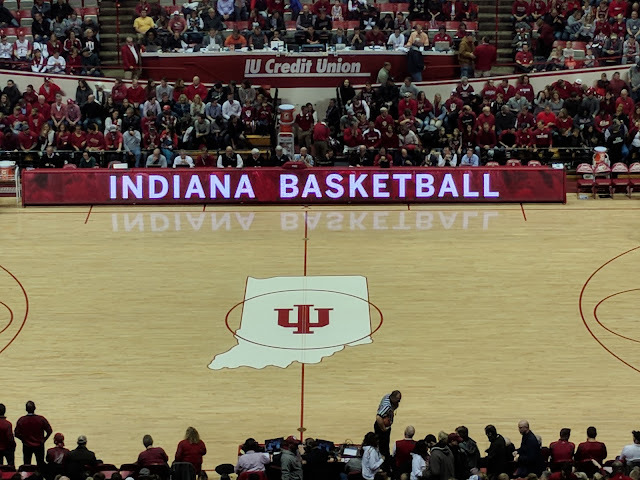 The first weekend of Christmas break, I surprised Eric with an early Christmas present to see a men's basketball game at Assembly Hall. 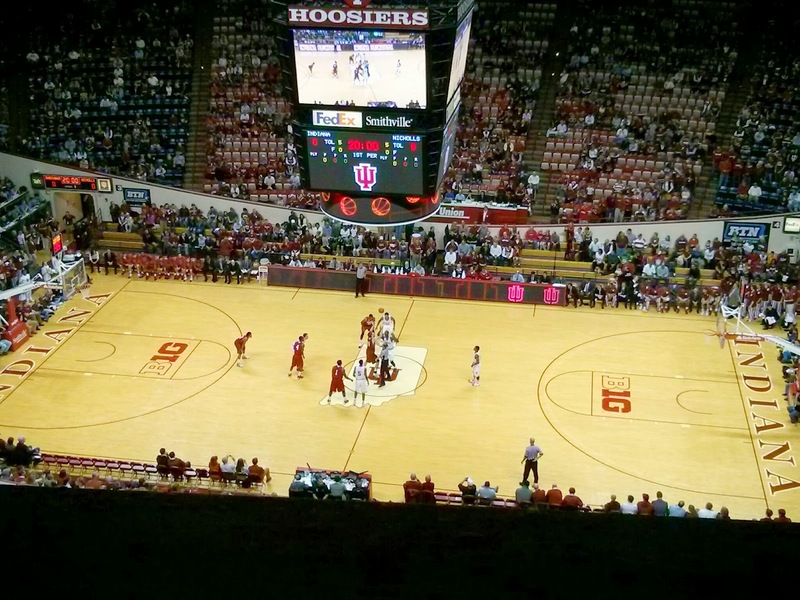 IU was playing Nicholls State and I managed to get us first-row balcony seats for about $25 each - Christmas break teams mean cheaper tickets. And I might be biased but I think IU has the best cheers of any team I've seen. I tried to upload this as a video but I'm not sure it worked. This is, hands-down, the best cheer in college basketball. It usually happens at the under-8 time out. I don't like the fact that it seems IU basketball stopped winning championships around the same time I started existing in the world. 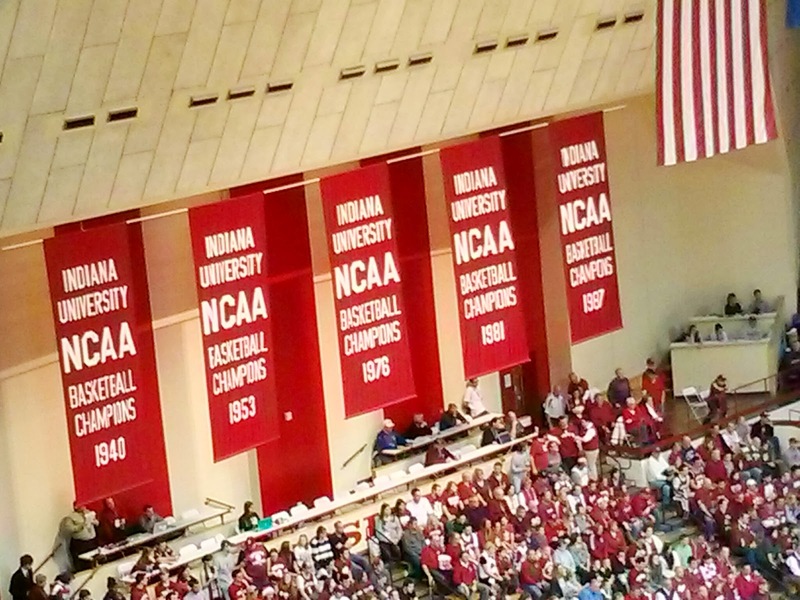 We'll get another banner up there soon. 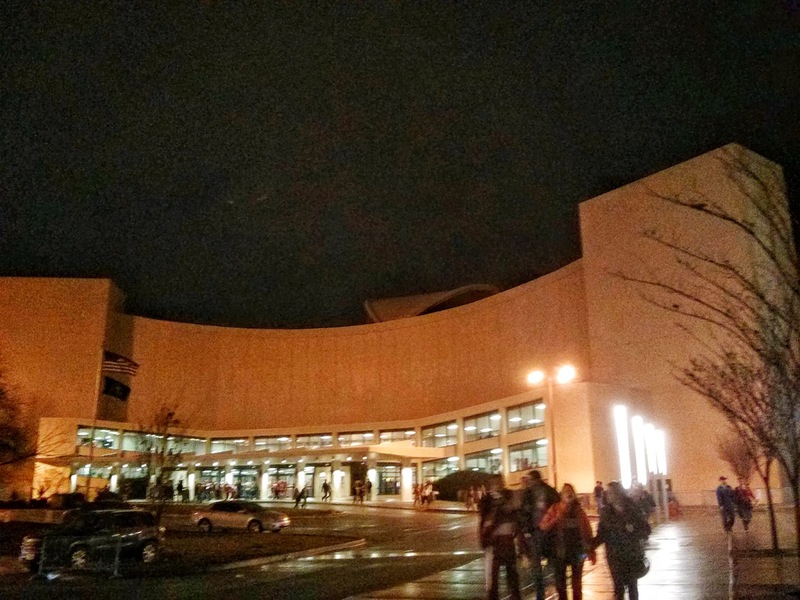 And here's the iconic Assembly Hall (which is being renamed in 2016) from the parking lot. Since it was break we parked in a nearby dorm lot, but if you get there early enough there is paid parking available right next to the building. 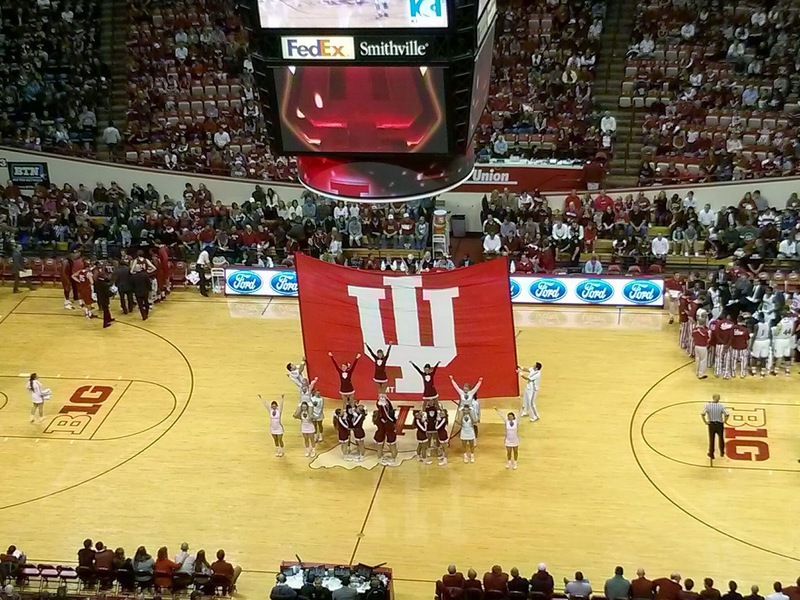 IU won (79-66) and we had a good time at our first game there. Hopefully we will get to go to some more games in the next few years. It is kind of frustrating for us to get tickets together for a reasonable price since I'm not a student, but the cheaper break games are definitely do-able.